The Bottom Line: Snowfall and precipitation totals are impressive from Tuesday and Wednesday. The snowpack will take time to adjust to this heavy new load. Uncertainty remains with a deeper weak layer. Enter the backcountry with your best thinking cap on, and treat steep slopes with caution. Stevens Pass racked up over 2” of snow water equivalent in about 13” of snow Tuesday night and Wednesday. Snow accumulated rapidly as heavy snow fell and the temperatures warmed up, this caused a widespread natural avalanche cycle throughout the Cascades. Many large paths ran in the area, entraining wet snow as the debris ran through the water saturated lower elevation snowpack. It appears it rained up to around 5,000ft, but uncertainty remains regarding how far down the water percolated into the snowpack. A substantial amount of new snow is to be found at elevations above 5,000ft, where precipitation fell as all snow. The snow fell cold initially, and temperatures warmed up as the snow accumulated. At upper elevations, the snow may be dry, and deep drifts are likely to be encountered. What is this new snow sitting on? Is there strong over weak? Is the new snow cracking, or do you see recent avalanches? Storm slab instabilities should decrease during the day as time helps settle these out. The deep new coat of snow will take time to bond, however. Travel with a conservative mindset, giving the snowpack another day to heal. A layer of surface hoar that was buried on January 17th should be 2 to 3 feet down from the surface. We just added a heavy new load to this layer. You're most likely to find it in wind-sheltered, shaded, and open terrain, possibly up to ridges, and east of the Cascade Crest. On the 23rd, observers continued to report signs of instability, with an extremely loud WHUMPH, that in turn triggered another WHUMPH on a Northwest aspect at 4800ft near Grace Lakes. Observations show this layer is present at Grace Lakes, Yodelin, Lichtenberg Mountain, Smithbrook, and Jove Peak areas. At lower elevations, the snow surface has become wet, and water has made its way through. The snowpack will take time to refreeze, but probably won’t do so by tomorrow. As such, it’ll be best to treat the terrain like this layer could still fail. 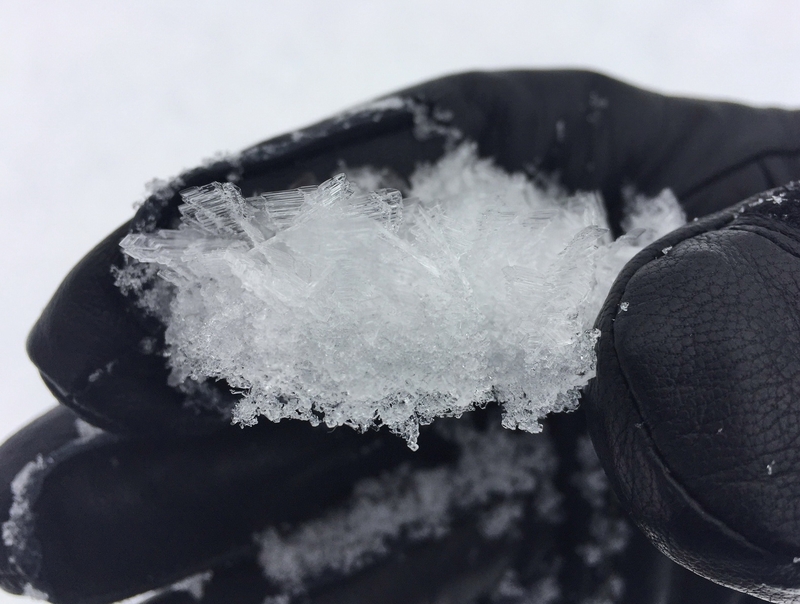 Small and large snowpack test can help you identify this weak layer and gather information. Lack of evidence in one profile or snowpack test shouldn't be a reason to travel in more consequential terrain. The size of the potential avalanches has just increased with the new coat of snow. As such, any avalanche on this layer would be very large and surprising. If and when the sun comes out, expect loose wet avalanches on steep, sunny slopes. These could entrain a large amount of heavy, wet snow if they make it down to lower elevations. If you see roller balls, recent loose avalanches, or notice you are sinking in past your ankle in wet snow, it's time to get off of steep slopes.